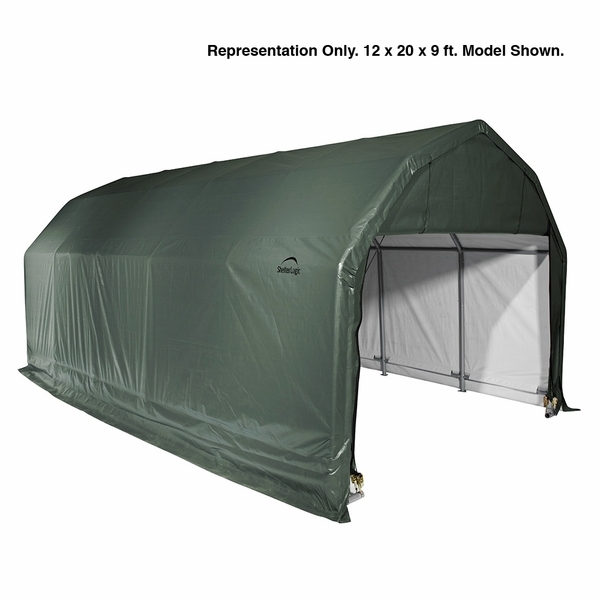 Protect your vehicles and outdoor equipment with the Shelter Logic 12 x 28 x 9 Barn Style Portable Garage Canopy. This portable homestead barn garage has a sturdy steel frame and a polyethylene cover that has been heat bonded and triple layered. The garage canopy cover is guaranteed to be 100% waterproof and it has also been treated with fad blockers, anti-aging elements, and anti-fungal agents to keep it in tip top condition. 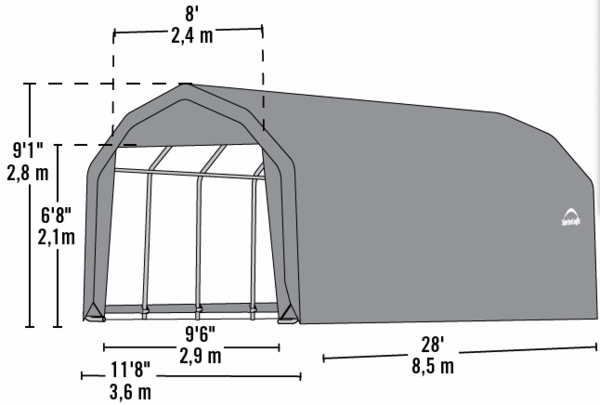 If you need a way to protect your vehicles from the elements, the Shelter Logic 12 x 28 x 9 Barn Style Portable Garage Canopy might be the right choice for you.